The main focus on the launch day of the Google Pixel 3 devices was the stunning camera they embedded into the devices. Google is a software company that thrives on it. The company has enhanced their camera module for the Pixel 3 and Pixel 3 XL devices significantly as compared to last year’s flagships; both hardware and software wise. To support this camera module, we get a new Google Camera v6.1 APK along with Pixel Visual Core API. The latest Pixel 3 camera APK is now available for download. 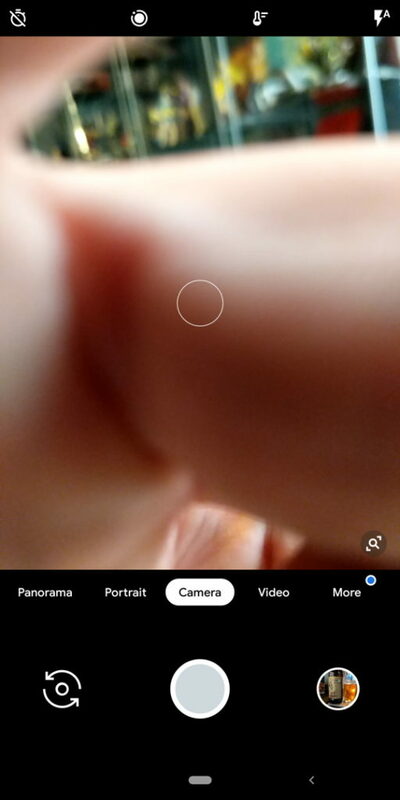 The new Google Camera APK from Pixel 3 features a revamped user interface, RAW support, brand new panorama mode, Face retouching option in portrait mode, Focus slider, quick access to Lens mode and much more. See the full list of features below. Now, as usual, the camera only supports Android 9.0 Pie or above because the Pixel 3 features Android P and there is no point targeting it for earlier versions. This means all the Google Pixel devices, Essential phone, OnePlus 6/6T, Nokia 7 Plus, and all phones running Android 9.0 Pie can simply grab the APK and install it. However, not all features will be working as some features are exclusive to the Pixel 3. While the brand new camera UI, RAW support, and latest panorama mode are present, you may not be able to get the Pixel 3 exclusive features like Live Lens, Top Shot, H265 video recording, super resolution zoom, Night Sight, Photo Booth, etc. Updated: According to Google’s latest blog for the new Night Sight feature, Google Pixel 3 Camera with the Night Sight can comes with a new version Google Camera 6.1.021.220943556 supports arm64-v8a architecture and nodpi for Android 9.0+. The package is named com.google.android.GoogleCamera same as before. We also have the Google Pixel 3 camera mod port for Android 8.0 Oreo or later. Soon it will come for all Android devices running 6.0 Marshmallow, 7.0 Nougat, 8.0 Oreo, 9.0 Pie.